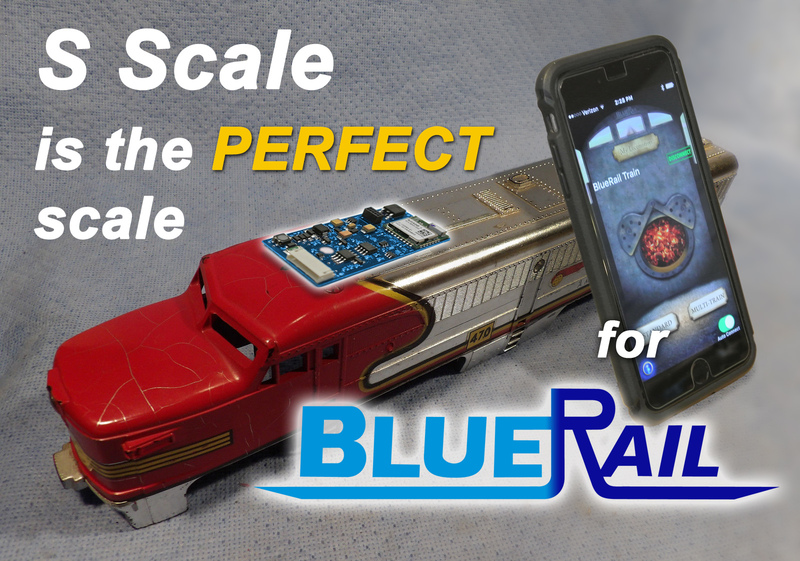 You may have heard that “S” is the perfect scale – it is also the perfect scale for BlueRail. The BlueRail board is perfectly sized to fit most S scale locomotives, and with 2 amps of current they are a perfect match. If your S loco has DC can motors (isolated) then your loco is a good candidate for a BlueRail board. The BlueRail board runs on DC or DCC power (from the track or battery). If you require AC track power, an AC-DC converter can easily be built from parts as described in this article. The board controls motor and up to 4 LED lights from over 100 ft. Considering there is no system to buy (other than owning a smartphone or tablet) a BlueRail board is one of the most affordable train control solutions available. Discounts are available on volume orders (2,5,10). BlueRail is extremely popular for use with onboard battery. The BlueRail board is very easy to install using a standard 9-pin JST with standard NMRA colored wires (sold separately). Here is a wiring diagram. Sounds (which play inside the smart device) can also be played through a mini bluetooth speaker on the loco, making for very affordable onboard sound (as described in this article). Perhaps the biggest appeal in using BlueRail is a the well developed software control app (free in iOS and Android). This system is compatible with Bachmann E-Z App® and enjoys the benefit of thousands of users and hundreds of hours of software development, setting it apart from all other available wireless train control systems. If you are an S scale hobbyist, you should consider BlueRail as your train control system. Please purchase boards directly from our online store. If you are a club interested in group rates or have any questions please email us . Does loco contain DC can motor? Is motor isolated from the frame? Does loco draw 2 amps or less? Are you good with DC, DCC or battery power? Does loco contain LED lights? Does your smart device (phone/table) support Bluetooth 4? It’s true that S Scale is the perfect scale for BlueRail. A: There are many variations of American Flyer locos. 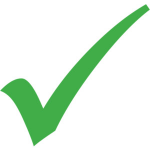 If it passes the 5 check points above, you should be good.